In 2014, there were 20 law enforcement K-9 duty deaths reported to the Officer Down Memorial Page. It’s difficult to say how accurate that number is, because the statistics on K-9 duty deaths are difficult to track. U.S. law enforcement has no official reporting procedures or agency that collects the data of law enforcement K-9 partner duty deaths. This is a major oversight and needs to be corrected so that the information obtained from these loyal partner deaths can help develop policies and additional training for handlers and K-9s. The leading cause of K-9 duty deaths in 2014 was gunfire, which killed five K-9 partners. January was deadliest month for K-9s, losing four K-9 partners. 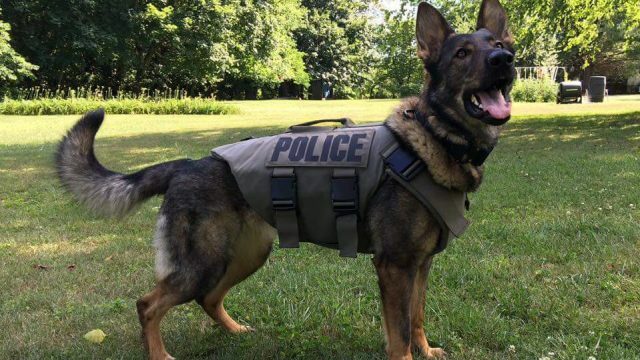 One K-9 partner that was killed in 2014 worked for the department of corrections. One specialized in explosive detection, while another specialized in illegal drug detection. Without a mandatory reporting system and central collecting agency disseminating official data, there is no way to validate the current information to fully analyze. Without this data, assumptions have to be made and conclusions are not reliable. 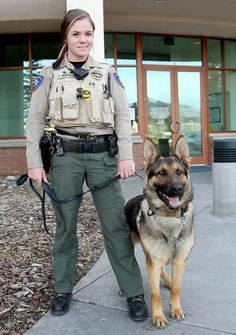 What is needed is a mandatory universal law enforcement reporting system on K-9 duty deaths so that accurate information can be obtained for analysis and discussion to support the K-9 law enforcement teams. The K-9 units are necessary for law enforcement to successfully protect our businesses and communities, and we need to support these efforts. Posted in Mark's Articles and tagged Corrections, Crime, Crime Analyst, Crime Scene, Criminal Intelligence, Criminal Justice, Criminology, K-9, Police, Police K-9 Reporting, Police K-9 Research, Police Policy, Sheriff. Bookmark the permalink.